Many of us, already felt the need for some parts that LEGO never produced. Either it is something that LEGO Designers didn't think about (if that's possible...), something which they decided to not produce (yet...), or something that can be also built with smaller parts (the main purpose of LEGO toy). 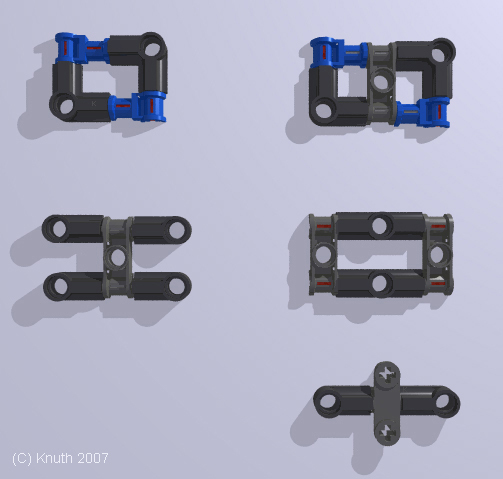 Kevin Knuth published in his BrickEngineer website, three interesting articles about possible meta-parts made out of simple and smaller LEGO TECHNIC parts. 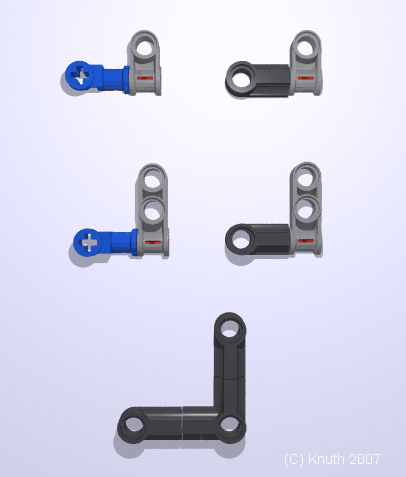 There are three L-shaped pieces that LEGO produces: 2 x 4 L-shaped Liftarm, 3 x 5 L-shaped Liftarm, and the 3 x 3 L-shaped Liftarm Thin. These are shown in the top row of the figure below. 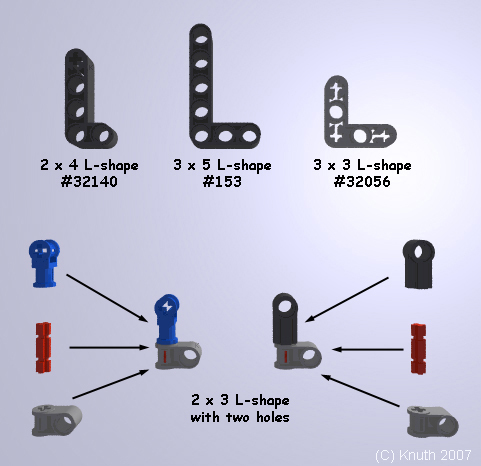 One can construct smaller pieces that act like the L-shaped liftarms, although they have only two holes. Two examples of such constructs can be seen in the bottom row of the same figure. Think of these as Meta-Parts, usefull for larger constructions. 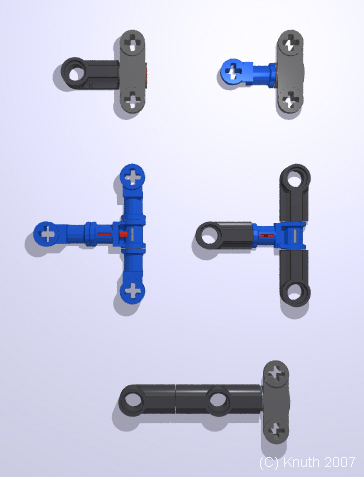 Note that these designs can easily pull apart when you apply forces in certain directions (usually within the plane of their design). They will not be stable for constructions requiring that they withstand forces in those directions. However, if you need to brace against forces that are directed out-of-plane, or to prevent torsion (twisting), these constructs may help. A few other examples from those three Kevin articles at BrickEngineer, are highlighted below. Some Axle Joiner perpendicular constructs. 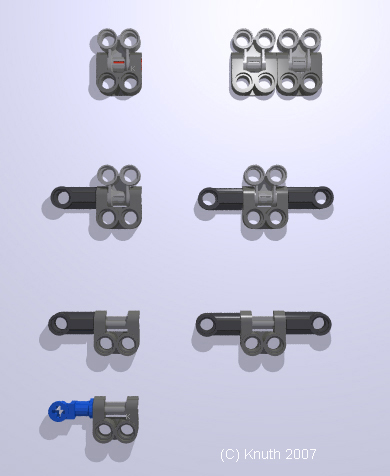 These LEGO constructs are even more sturdy and can be used as extremely strong braces.